Those who have followed his career note that he’s not particularly gifted in intelligence, but nevertheless he excels at his chosen vocation because he does what it takes to be successful — and nothing else. Rick Perry is a frontrunner in the Republican nomination and is now under intense scrutiny by the media. One thing people want to know is whether Mr. Perry is as unintellectual as another famous Texas-bred President. One headline audaciously asks: “Is Rick Perry dumb.” I’m fascinated when someone has had so much success while everyone around them proclaims them to be to be handicapped by lack of intelligence. Read up on Rick Perry. He’s had an amazing career in politics spanning three decades. He’s the longest serving governor in Texas state history. That doesn’t happen by accident. 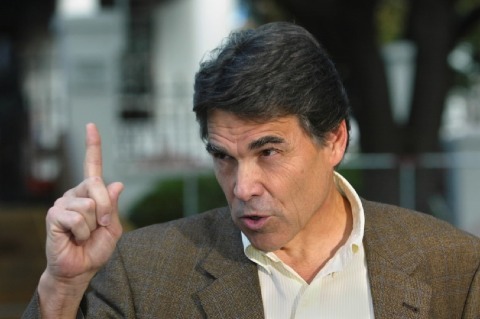 Who really cares if Rick Perry is dumb or not, the key thing is that Rick Perry WINS. He’s in the business of being a politician — forget about ideology or if you think he’s a great leader — the guy can win elections and get things done once he’s in power. In politics, that’s all that matters. I’m sure we’ve met people like this at one time or another. They put the blinders on and work at only the things that matter. Because they disregard the social norms of what seems to bring success and focus only on what actually brings success, we write them off as a fluke. I’ve known traders who were essentially analytically useless yet banged out hit after hit — often without even knowing the company behind the ticker. To the outsider, the way they traded seemed reckless and loose. When in reality, they traded much tighter than those who spun lengthy narratives and traded around thesis or intellectual belief. To them, all the additional information was secondary. The only thing that mattered was executing trades profitably. If you’re a trader, who cares if you can rattle off the GDP of every Baltic state for the last 10 years. That’s not your job. Your job is to enter trades with low risk and exit with a profit. That’s it. The world at large does its best to make everyone feel self conscious about their abilities. Traders can feel especially inadequate because the world they inhabit is filled with economists, analysts, math geeks, and professional prognosticators. All very smart people who can talk themselves or anyone else into taking any side of any trade, long, short, or flat. Interacting with these people can lead traders into pursuing all sorts of useless skills and information. Smart does not equal success. Debate really has nothing to do with managing risk. If only we could talk our way out of our losses, or better yet, into winners. Rick Perry’s success teaches us to learn only the skills you need to win and forget the rest. Get to about 80% proficiency in whatever dark arts will lead you to your edge and 100% proficiency in executing your plan. Form a network of experts whose opinions you trust. Do what you need to do to get an edge and then apply yourself. Focusing on the minutia and trying to appear smart can be comforting but it’s rarely profitable. The world is a risky place and knowing all the stats will never protect you from what you cannot know. Don’t use this way of thinking as cover for not working hard or doing your homework. This is about learning what you need to do to win and finding the minimum effective dose to do it — not about taking shortcuts or the easy road. Sometimes you’ll find the real minimum effective dose for success is a whole lot more than what you’ve been doing to BS your way through life so far.